As in the story of the Good Samaritan, who found the stripped and beaten man at the side of the road, we have found our hurting people in all sorts of terrible circumstances: women who have been beaten and raped, children who have lost both parents to war or disease, babies who were thrown away. Inspired by a loving God, our mission is to provide compassionate, practical assistance to strengthen people and communities in developing countries through these four areas: crisis response, food relief, child sponsorship and community development. Every day, through ERDO-affiliated PAOC global workers or trusted partners, we are reaching out to populations living with poverty, injustice and suffering. Our work is transformational on three levels: the mind, the body and the spirit. Scripture instructs us to be radical in our care for people in need. We are to be generous beyond social norms, to reach out to people whom society deems “unworthy” and to do good things ... not for our own glory, but for God’s glory. As in the story of the Good Samaritan, who found the stripped and beaten man at the side of the road, we have found our hurting people in all sorts of terrible circumstances: women who have been beaten and raped, children who have lost both parents to war or disease, babies who were thrown away. While our reach is not always to people living in such obvious dramatic and tragic circumstances, who can say that we should overlook the more silent injustices of hunger, illiteracy and disease? If we were to act as the Levite, a member of the priesthood, who did nothing to care for the suffering, we would be ignoring an opportunity to do something radical for God. We would miss the call not only to follow God, but to serve. Through the support of our generous Fellowship, ERDO has met the needs of millions of people since our birth 30 years ago.1 Our core ministry areas of child sponsorship (ChildCARE Plus), food relief, crisis response and community development have allowed us to reach people who are physically, mentally and spiritually hurting. The work we are doing by raising funds in Canada is also strengthening the Pentecostal body of Christ around the world. When we select a partner to deliver humanitarian aid, such as the Pentecostal Assemblies of God – Uganda or The Pentecostal Assemblies of Bangladesh, we are empowering the church body in those countries to minister to their local communities. As indigenous people see their local Christian community ministering to their needs, the demonstration of a gospel-inspired love is lived out. When Jesus walked the earth, He took time from His teaching to address the practical human needs around Him: the healing of the woman by the touch of His cloak, raising Lazarus, healing leprosy and blindness. The radical and abundant love of Jesus touched the lives of many and modelled a kind of love for us that reaches into people’s lives and changes them. ERDO’s practical and personal care in 2012 meant that hungry men, women and children in the Sahel region of West Africa received emergency food. As a founding member of the Canadian Foodgrains Bank, ERDO was recognized in part for the generosity of our churches from the Canadian Government. In a March 5, 2013 reception to honour the 30th anniversary of the Canadian Foodgrains Bank, the Honourable Julian Fantino said, “It speaks volumes” that 40 per cent of the donations for the Canadian government’s 2012 Sahel Crisis Matching Fund came through the 15 churches and church agencies that make up the Foodgrains Bank.” The church is a powerful agent of compassion — but there is so much more we could be doing. Through another ERDO program in the Democratic Republic of Congo, women are empowered through the “Wezesha Project” where they receive loans of $50 or more to build their small businesses and learn to better provide for their own families. In Malawi we have launched an anti-sexual abuse and trauma counselling program. In 2012 we celebrated the 20th anniversary of our ChildCARE Plus child sponsorship program. After 20 years, some of the children we have come alongside are now leaders in their own Christian ministry. Bapu Desai from India is one such young man. Having received his education, regular meals and spiritual training through the support of ChildCARE Plus, he has now graduated and is working on his third postgraduate degree. As managing director of the school where he was educated, he now invests in the lives of children like himself. The gift of love to a child like Bapu has been multiplied and is now spilling over, reaching out to many others. ERDO’s work in 2013 is mostly planned, but as with any organization that assists in emergencies, we also operate in a responsive manner to the earthquakes, typhoons and droughts that wrack our neighbours. We are asking neighbours and friends like you to help equip ERDO for the emergencies that will come. To quickly equip our global workers and partners, we need financial resources that will allow us to wire funds to our workers and meet more immediate needs. When clean water sources are wiped out by a typhoon, clean water is a need required in less than 24 hours. While we can delay eating, we know that we cannot deny our neighbours a cup of clean water, so we are literally planning ahead for emergencies. As a church leader, you can inspire radical love and generosity by spreading the word of an authentically Pentecostal outreach to a world in need. ERDO’s story is about following Jesus into the complexity of the world and inspiring people to help their neighbours. Support this vision and help us reach, inspire and enable a whole new generation. Visit the new ERDO website (www.erdo.ca) for church resources, children who need sponsors, or to make a gift of support. 1 Source: ERDO Worldview Program Reports Beneficiaries: 2012: 208,000; 2011: 1,779,515; 2010: 658,130; 2009: 1,612,959. 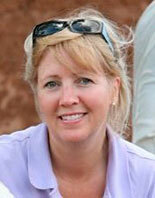 CAROL FROOM—is the director of Resource Development for ERDO.